Giggles Embroidered Towel with Hood | Multicolour | iron in reverse. wash inside out. 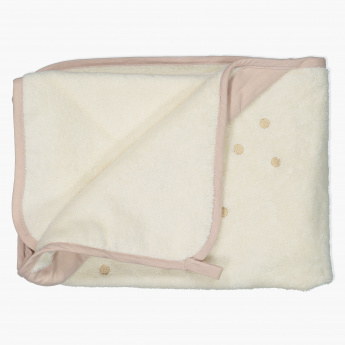 Give your little one the much-needed warmth as you dry him with this towel. The comfortable fabric is extremely soft and gentle on the skin. The hood lends an extra warmth to the head. Feature 1 : iron in reverse. wash inside out.